Germany top court on Friday backed Volkswagen owners' claims against the firm over cars rigged to cheat regulatory emissions tests, in an opinion that could guide lower courts' rulings. 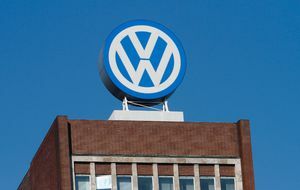 Germany's Federal Motor Transport Authority (KBA) is considering recalling more Volkswagen cars due to its emissions, scandal, the Bild am Sonntag newspaper reported on Sunday. 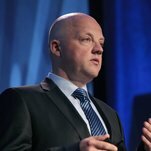 Volkswagen's cleanup of a diesel cheating scandal will cost it 5.5 billion euros ($6.25 bln) in 2018 and around 2 billion euros in 2019, Chief Financial Officer Frank Witter told German weekly... Boersen-Zeitung. 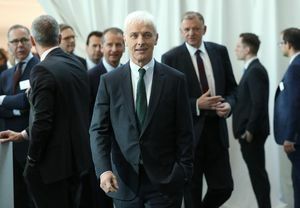 Former Volkswagen boss Martin Winterkorn was slow to address emissions test cheating that led to huge U.S. fines, a judge hearing a damages case brought by investors against the German carmaker said... on Tuesday. 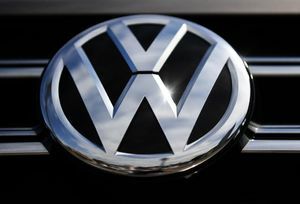 German auto giant Volkswagen has fixed millions of cars found with emissions cheating software since a 2015 scandal, but must do more to satisfy consumers, the EU said Monday. German carmaker Volkswagen rejected Sunday a report that chief executive Herbert Diess knew of the financial risks from the firm's massive diesel cheating earlier than he has so far acknowledged. 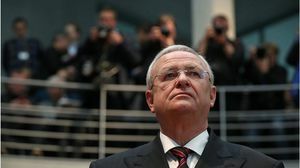 A VW spokesman says the German automaker's supervisory board is checking whether it can demand damage claims from former VW CEO Martin Winterkorn in connection with the company's diesel emissions... cheating scandal. 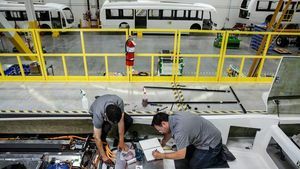 Federal regulators say Volkswagen may not have recalled enough vehicles for a problem that could keep the driver's airbag from deploying in a crash. German authorities said Thursday they had again raided the headquarters of the world's largest carmaker Volkswagen in a probe over financial market manipulation related to excessive exhaust emissions... from its vehicles. 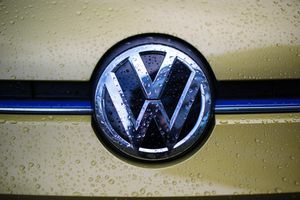 Australian Automobile Association calls for real-world testing after finding nitrogen oxide emissions four times the levels observed in lab Volkswagen cars in Australia are guzzling up to 14% more... diesel fuel after a recall fix designed to cut emissions, research has found, reigniting calls for emissions to be tested in the real world rather than a laboratory. 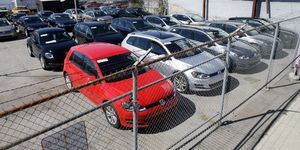 The analysis, commissioned by the Australian Automobile Association, which is campaigning for real-world testing, examined affected VW cars before recall and immediately after. Prosecutors foraged through the offices of law firm Jones Day seeking material. Lawyers for Oliver Schmidt, accused of misleading U.S. regulators about diesel admissions, say he was largely an unwitting accomplice. 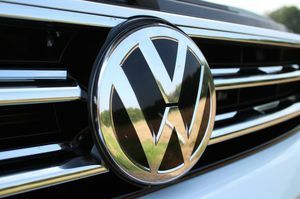 Volkswagen is accused of pressuring drivers to accept a software upgrade for vehicles implicated in the global emissions scandal, or face the possibility of no compensation. A year and a half after the Volkswagen "Dieselgate" scandal erupted, the European Union is struggling to punish the Germany-based auto giant for emissions cheating and ensure customers are... compensated. VW's ex-boss may have known the firm was cheating on emissions earlier than he admitted, prosecutors say.